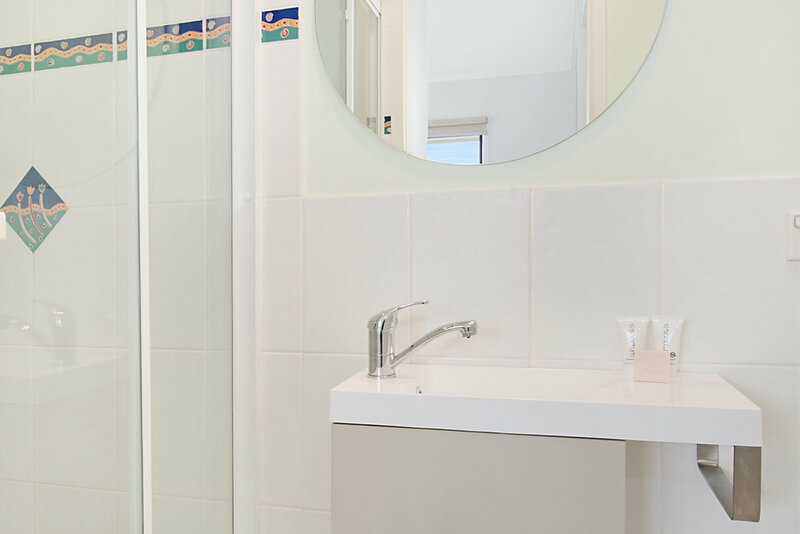 Gosamara Apartments Byron Bay offers 4-star AAA tourist rated, modern, self-catering two and three bedroom apartments. 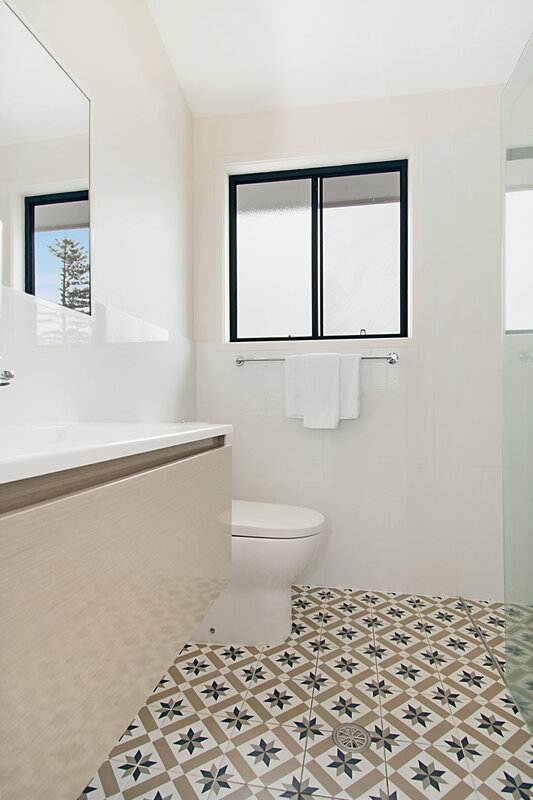 Gosamara offers a range of two-bedroom and three-bedroom apartment designs to suit your Byron Bay accommodation needs. Split levels, multiple bathrooms, expansive living areas, and private balconies provide space and privacy for all guests. Enjoy the ambience of Gosamara Apartments, along with the comfort and conveniences to ensure a true holiday. Contact us and allow us to personalise your reservation. All apartments have air-conditioning and ceiling fans, washing machines and dryers, and undercover parking. Our well-equipped kitchens include an oven, cook-top, microwave and full-sized refrigerator. 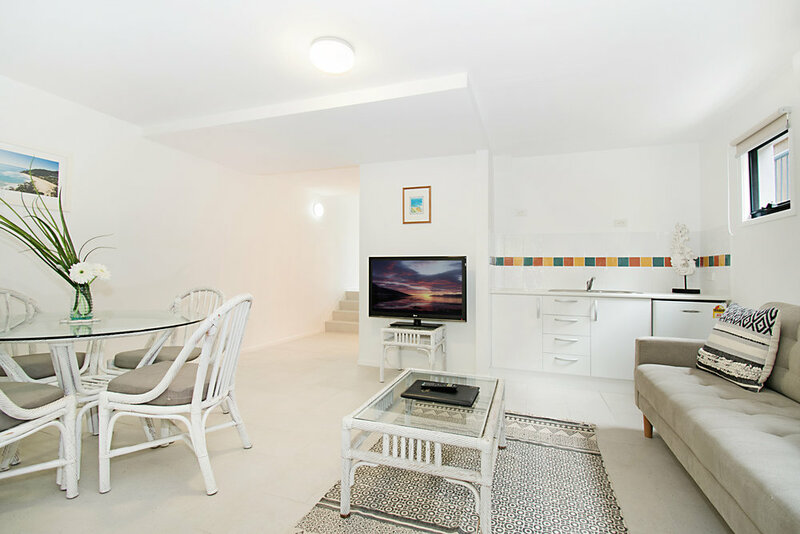 Apartments also include free Wi-Fi, plasma/LCD televisions, DVD players, and stereo docking stations. Linen, towels and hairdryers are provided, along with Sanctum certified organic shampoo, conditioner and soap. Two-bedroom apartments accommodate up to four people. Each apartment is individually decorated. Three-bedroom apartments accommodate up to six people. A seventh person can be accommodated on a roll-away bed for an additional cost. 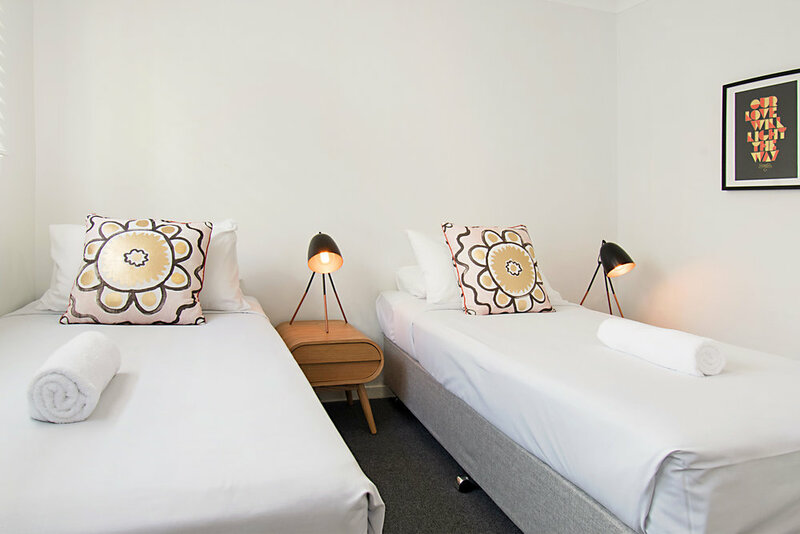 Experience beautiful Byron Bay while staying at Gosamara - spacious, comfortable and in walking distance to the town centre and beach.